This travel guide will help you with discovering Antibes, a beautiful small city on the South of France in French Riviera. Situated only halfway in between its eastern neighbour Nice and western neighbour Cannes, this resort is one of the Cote d’Azur more laid-back cities with an easy-going ambience. It is a perfect vacation spot also thanks to its warm climate. Antibes benefits from being on the Mediterranean coast and enjoys almost 7 months of glorious sunny warm days, but also benefits from plenty of sunny days in winter. That’s sounds like a right place to be right? Antibes is well-known for being the yachting capital of the Mediterranean. In Antibes you will find a Port Vauban – the largest port in Europe with docks for over 2500 boats. At the end of the port you will see the Superyacht Quay. Here you can admire about half of the world’s biggest yachts, among which you will definitely won’t miss the biggest one ‘Eclipse’ – owned by the Russian billionaire Roman Abramovich. Port Vauban is also famous for its annual yacht show held every spring, and for its ‘Voiles d’Antibes’ – the world’s biggest regatta for vintage teak and brass sailing boats. This port offers a few benches, where you can relax and maybe wonder how nice it would be to spent some time on one those yachts. 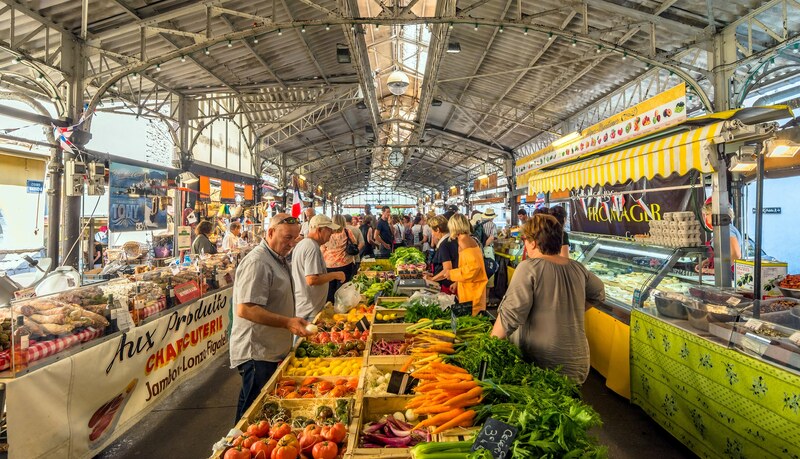 Passing through the arcade from the port, you are faced with one of the best markets on Cote d’Azur – The Marche Provencal located at Cours Massena. This market offers everything you wish for. The selection goes from seasonal fruits and vegetables to French cheeses and fresh meats, as well as the Provencal cuisine, herbs, olives etc. I recommend you to visit it earlier in the day around 10 am to take advantage of the best election, however, this market stays open until 1pm. Next to the marina is the Vielle ville (Antibes old town). Enjoy the strolls in the narrow streets of the old town and observe the typical cobblestone streets, small shops, galleries, restaurants, and charming cafes. You should set aside half a day to get lost among Old Town’s charming passageways, stopping for a delicious lunch, café or some crepe. Try to find some time to check the Place Nationale, the site of the Roman forum. It’s a very pleasant place to grab a drink under the broad plane trees. Rising high above the water, dominating the old town you cannot overlook the picturesque Chateau Grimaldi which houses the Picasso Museum. Previously, the rulers of Monaco, the Grimaldi Family lived in this castle until the revolution. In 1946 this place became a home for a famous painter Picasso where he enjoyed a period of intensive creative period. The château, became the museum in 1966. Nowadays you can see around 254 works by the artist as well as enjoy the beautiful building and the setting on the Cap itself. So, if you are fan of art and beautiful views this place is definitely going to charm you. If you want to get the best 360-degree view of Antibes you should definitely visit Fort Carre. This fort was built in the 2nd half of the 16th century for defence purposes but later on it was used as a prison (cool fact is that Napoleon Bonaparte was held here for some time). This place is perfect spot to discover an exciting history and to enjoy the fantastic scenery view across the harbour. Although in order to get there, you will have to walk from the centre of town for quite a while. But this place is definitely worth it! If you want to visit even more interesting places and have a deeper historical and informational background definitely join the Antibes free walking tour. If you are for the first time in a new location you might feel nervous or unsure of where to go and how to act. A guided tour gives you a sense of comfort since the tour guide understands the culture. He will take you to the best spots and sights you’d otherwise might miss. Participating in a guided tour will definitely help you get the most out of your trip. The tour lasts approximately 2,5 hours. You will discover the stunning Antibes and its old town. The tour guide will take you to the top attractions including: The Provencal Market, The Safranier’s neighbourhood, The Grimaldi Castle and Picasso Museum, The Fort Carre and many more. You will discover the hidden gems that you wouldn’t have found by yourself. The cherry on top will be the amazing view on the Cap d;Antibes and the prestigious Port Vauban! April to September: Monday, Wednesday, Friday and Saturday at 10am. 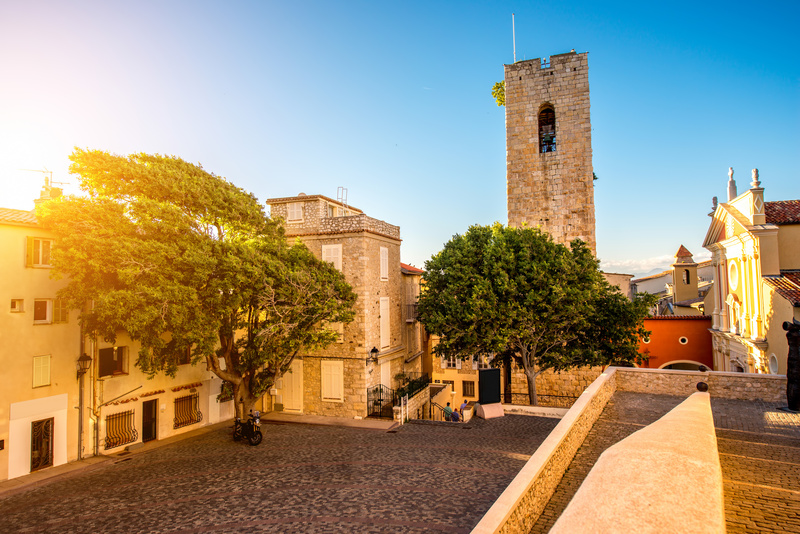 If you wish to learn more information about the tour and the transportation to Antibes, check out these two websites – Antibes free walking tours and transportation options to Antibes.